Lithuania has had a big year in 2018. It marked 100 years since the country was re-established as a democratic state after over a century of Russian imperial rule. Which means it also marked a century of Lithuanian design, as with independence comes a new visual identity (new flag, new currency, new postage stamps – the list goes on). It would fall under occupation twice more before finally becoming fully independent in 1991. So perhaps it’s this tumultuous past under the rule of others that gives the country’s capital, Vilnius, its proudly independent spirit and youthful, vibrant arts scene today. One hundred years on from its watershed moment, Vilnius is celebrating with a flurry of creativity and establishing itself as a design destination in the process. Walk around the city’s historic centre – made a Unesco World Heritage Site in 1994 – and you’ll quickly notice the refreshing absence of the global coffee chains and fast-food outlets that are so abundant in most European cities and towns. But Vilnius is no quaint old town preserved in aspic – this is a place of contrasts. Renaissance, baroque, gothic and modern buildings rub shoulders, while Burberry and Max Mara share a street with stall holders selling hand-knitted mittens and carved wooden toys. Chintzy traditional restaurants sit next to craft beer dens (there’s now a sizeable brewing scene here) and old- fashioned stationers neighbour sleek concept stores. There’s a sense that behind all the grandeur and wedding-cake-like baroque facades, there’s something more going on – and it makes wandering the city’s cobbled streets all the more intriguing. 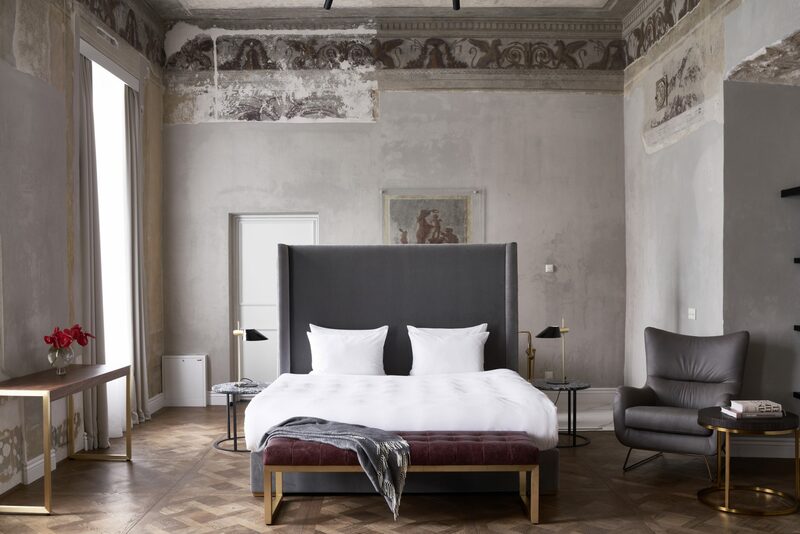 In the heart of the pastel-hued Old Town, with its charming avenues and ornate churches, Hotel Pacai is fast becoming a hub of Vilnius’ cultural new wave. Opened in May, the 104-room hotel is the Baltics’ first Design Hotel and is a celebration of Lithuanian art, design and culinary talents. 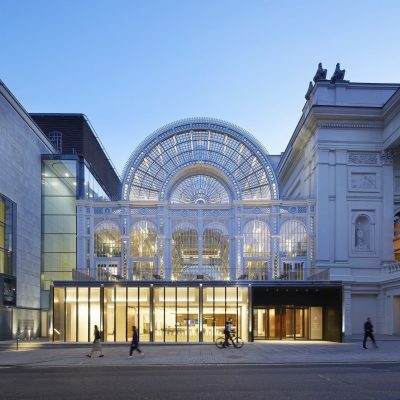 Housed in a palace built in 1677 for the city’s influential Pacai family, the building has been sensitively restored by a team of local architects and designers with the aim of celebrating its illustrious history – which includes a visit by Napoleon, no less. The palace was originally decorated by the Italian architects, painters, and sculptors that worked on the Church of St Peter and St Paul in Antakalnis in Vilnius, a masterpiece of Lithuanian baroque. Throughout the airy rooms and high-ceilinged corridors, original frescoes and murals have been restored fragment by fragment and left exposed, while sculpture and artefacts uncovered in the renovations (some of them by surprise) have been artfully woven into the interior scheme. 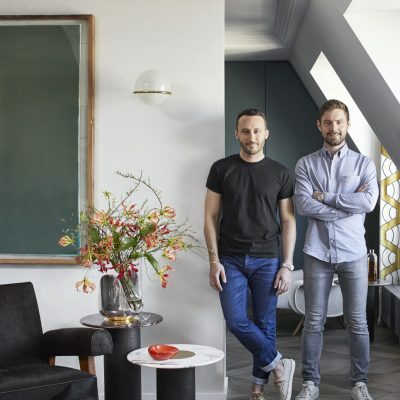 Each room is different, with a restful, neutral palette of dark and light shades accented by luxe materials – marble-swathed bathrooms, polished parquet, brass – alongside paintings by local artists (the hotel also runs a programme of exhibitions in its events spaces). Downstairs, the public areas have a moodier, cosier feel, with inky walls, brass statement lighting and low-slung velvet couches. It’s here that two “new Baltic” food concepts have been creating a buzz, with locals and guests flocking to experience the culinary exploits of the hotel’s brasserie, 14 Horses (located in what was once the palace’s stables) and Nineteen18, a fine-dining tasting menu concept that showcases Baltic cuisine – the name another reminder of the year the country found independence. 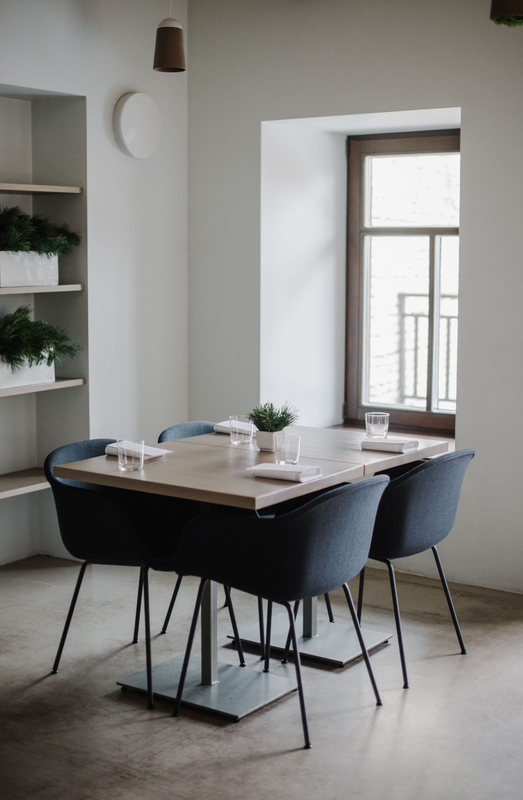 Claus Meyer, co-founder of Copenhagen’s Noma, has invested in both venues, and the influence of the Nordic food movement can be found in the focus on local and seasonal ingredients and the surprising reinvention of culinary traditions. Another groundbreaker at the vanguard of Vilnius’s food scene is Sweet Root, in the bohemian Užupis district. Opened four years ago, it also champions local and seasonal ingredients, many of which are foraged or grown in its own gardens. 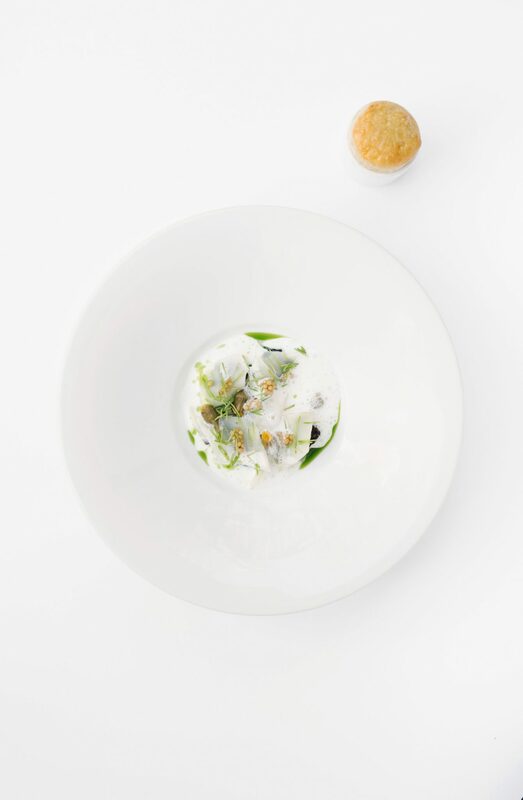 The seven-course tasting menu is aptly described as a fairytale – there’s certainly magic happening in the kitchen. Unexpected combinations such as patty pan squash, kohlrabi, apple and wild stonecrop challenge received definitions of sweet and savoury and keep diners on their toes. Each guest is presented with a list of ingredients that will feature in the meal insome form, plus a pencil, encouraging diners to tick off the components they think they’re eating in each course. The menu is not only an ode to ingredients, but a celebration of the farmers, foragers and growers too – they’re all name-checked on the menu, reminding guests about the provenance of their food. Separated from the old town by the river, Užupis is a self-proclaimed “mini republic” and it’s here that Vilnius’ undercurrent of creativity bubbles to the surface. There’s a tangible make-it-yourself attitude here – every bar, cafe, boutique and gallery seems to be doing its own thing, gloriously free-spirited and flying in the face of convention. On the same street as Sweet Root you’ll find boutiques stocking designs by local names, second-hand book stores, out-there street art and the odd artist’s studio. Look out for Šušop, which offers an edit of footwear, accessories and scent by carefully selected European brands. Across the road, Užupio Keturiolika is a concept store with a capsule collection of minimalist womenswear and homewares, with an emphasis on quality materials and craftsmanship – think handmade cotton shirts and cashmere knits. Vilnius is proud of its homegrown talent, and rightly so. With a population of only half a million, the city is small, but its rich arts scene and high proportion of creative minds at work give it the energy of a much bigger city. Yet up to now, it’s been somewhat of a well-kept secret. Not for much longer. With neighbouring Latvia having seen a big boost in tourism in recent years thanks to Riga being awarded the European City of Culture in 2014, the spotlight is starting to settle on other Baltic states – Lithuania in particular. 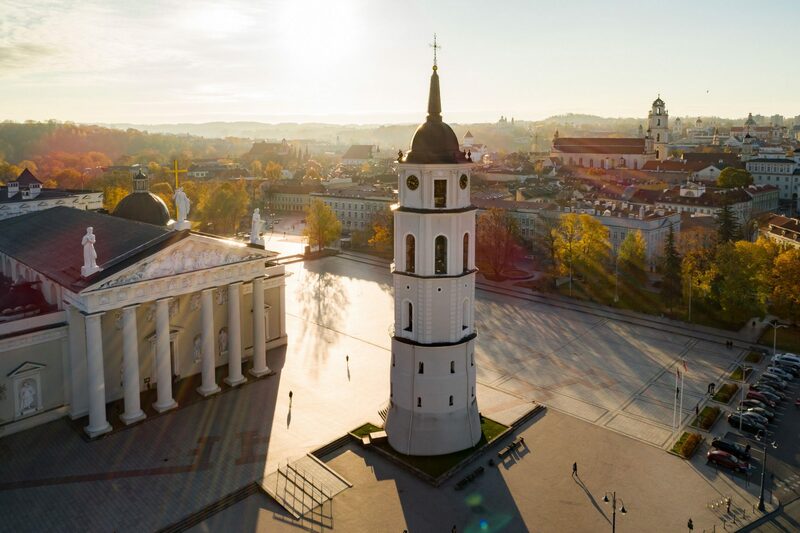 For Vilnius, 2019 is shaping up to be yet another big year.